Looking to grow your dry eye practice? You just have to look for cataracts. Dry eye and cataracts are both common conditions present in our ageing population, but two recent eye-opening studies have shown that we should be treating dry eye in up to 80 percent of patients that are being referred in for cataract evaluations.1-2 How crazy is that! Here’s how our practice is serving cataract patients, and others, with dry eye, and realizing a return on our investment in the process. I think we all can agree a patient who is being seen for a cataract post-op visit that has a multifocal lens and dry eye is zero fun. In fact, I think they can be one of the angriest patients we see. 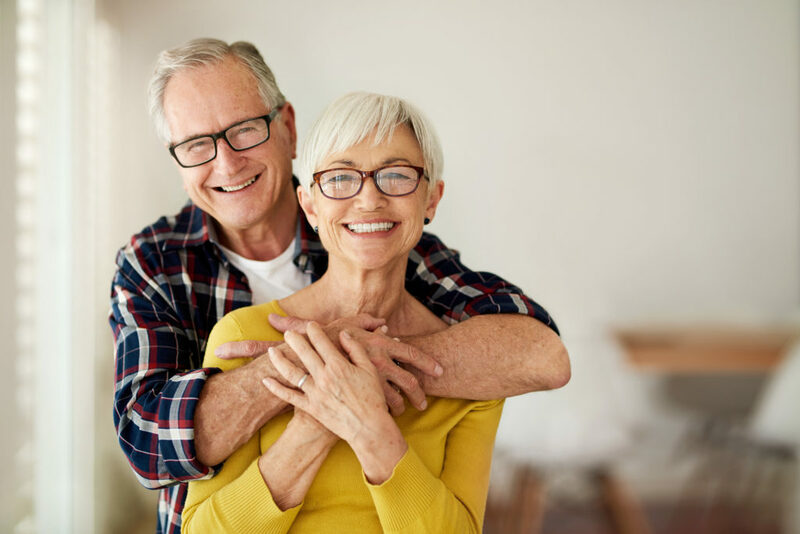 However, once you treat the dryness, and the fluctuating vision resolves, these patients can become among the happiest patients you’ll ever see. Instead of dealing with this anger post-operatively, it’s better we diagnose dryness pre-operatively. Our clinic does around 1,500 cataract evaluations, so that means we see about 1,200 patients with dry eye annually. In addition to cataract patients, our dry eye clinic probably averages around 20-25 new patients a month. Our volume of patients, especially dry eye patients, is increasing so steadily that we are expanding our clinic space. Another way to grow your dry eye practice is to increase the treatment options available for patients. If you are able to educate and treat advanced dry eye patients, they are the most loyal patients you will ever meet. We know that dry eye is correlated with anxiety and depression, so providing relief can really be life-changing for some patients. Thus, our advanced dry eye center provides treatment for patients who are referred in for cataract surgery, but also sees patients who are referred in for advanced treatment options (meaning their referring optometrist has exhausted all options). Setting up systems has been the biggest key to our success in growing a dry eye niche. The ability to have a SPEED questionnaire, osmolarity, MMP9s, imaging of the meibomian glands, and non-invasive tear break up time (NITBUT) all before I enter the room allows for more time to be spent on patient education. Another big change we made was to embrace and invest in more advanced treatment options such as Lipiflow, IPL, cryopreserved amniotic membranes (Prokera), true tear and serum tears. How Much Does this Systemized Approach Cost? The practice already had lipiscan (meibography) and HD analyzer (NITBUT) before I joined. 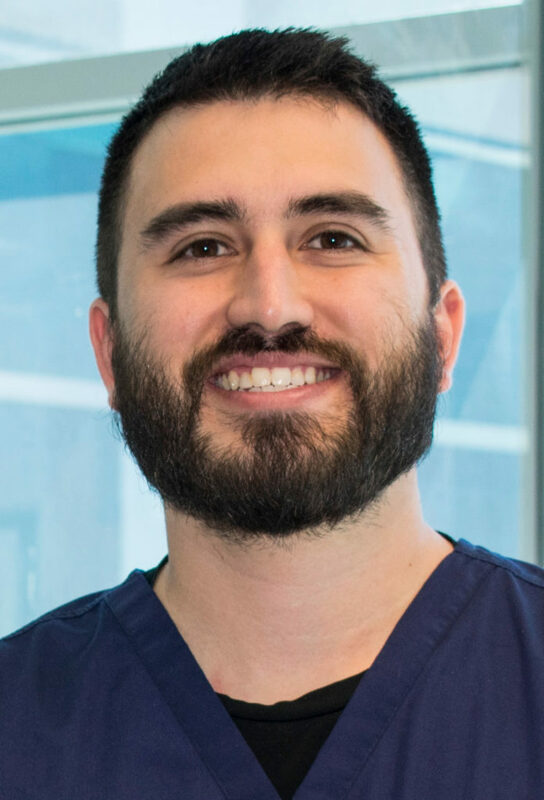 The first additions to our practice were a simple SPEED questionnaire ($0), osmolarity testing (Tearlab – $10 per single test), Inflammadry (Quidel – $9.75 per test), vector thermal pulsation (Lipiflow – $25,950) and cryopreserved amniotic membranes (Prokera). Lastly, we brought in Intense Pulsed Light (Lumenis M22 -$55,000) and True Tear. If one were to purchase both the Lipiscan (meibography only) and the Lipiflow, it is around $42,950, whereas the Lipiflow plus the Lipiview system, which allows you to measure lipid layer thickness and blink dynamics in addition to meibomian gland imaging, can be purchased with a Lipiflow for $62,950. If we total our revenue and subtract our cost of goods, our overall dry eye investment has brought an income a little north of $55,000 into our practice over the first six months. Incorporating imaging, specifically, meibography and NITBUT, allows us to have a structural and a functional test, very similar to glaucoma. These devices have been the biggest patient education game-changers in our practice. 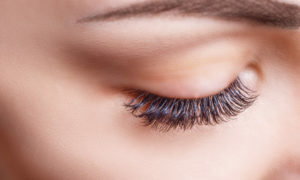 Dry eye can be difficult to treat and explain, especially when there is a disconnect between signs and symptoms. If we have a patient who has 50 percent gland atrophy and TBUT of two seconds that has no symptoms, then it can be very hard to convince this patient to buy into the diagnosis, let alone the treatment. 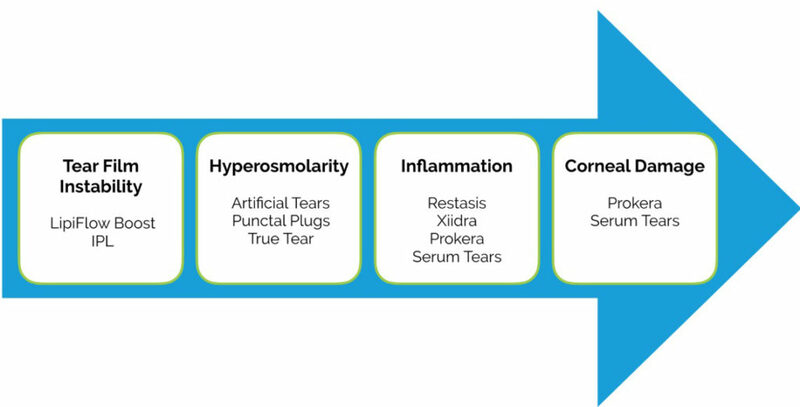 We have designed a simple diagram based on the TFOS DEWS II pathophysiology report that helps us simplify dry eye for our patients. Showing them this picture, along with their results of NITBUT, osmolarity, MMP9s, and SPK pictures of their cornea, really helps with the education. Then, it makes it easier for patients to understand why we are prescribing the treatment. For example, if a patient has is MGD, meibomian gland atrophy, and a quick tear break up time, then they know that their main problem is tear film instability. We would then recommend Lipiflow or combining Lipiflow with IPL to attack the root problem (tear film instability). 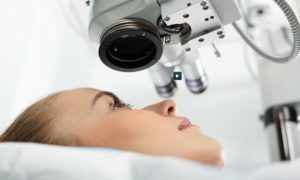 By treating dry eye before cataract surgery, we have significantly decreased the amount of laser vision correction enhancements we are doing after cataract surgery. Why? Dry eye or hyperosmolarity leads to variability in keratometry readings, which in turn leads to variability in the IOL power selection/potential unexpected residual refractive error. 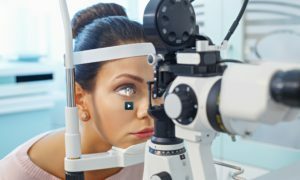 The fewer enhancements that are needed after laser refractive cataract surgery, the fewer needed post-operative visits, which leads to more exam time/indirect income that can be used to see a new cataract, refractive or dry eye evaluation. If we fail to diagnose dry eye, especially prior to cataract surgery, then patients will think the dry eye was a complication of the surgery. Today, I had a follow-up with a patient who was initially referred in for a cataract evaluation. She did have mild cataracts, but after digging a little more, her main problem was fluctuating vision. We started her on dry eye therapy (topical cyclosporine and topical steroids) and had her return for repeat testing (biometry and topography) in two weeks. At her follow-up, she walked in smiling from ear to ear. She said, “Dr Saenz these drops have cured my cataracts.” Of course, the cataracts were still present, but the fluctuating vision had resolved. She asked me if she could be unprofessional for a moment, and after I hesitantly said yes, she gave me a hug. I can’t wait to see her after removing her cataract, she is only going to be happier. There are many ways to grow your dry eye practice. One simple step is to start looking closely for dry eye in your cataract patients. They will love you, hug you, leave awesome reviews, and will be loyal patients for many years to come. 1. Trattler WB, Majmudar PA, Donnenfeld ED, et al. The prospective health assessment of cataract patients’ ocular surface (PHACO) study: the effect of dry eye. Clin Ophthalmol. 2017;11:1423-1430. 2. Gupta PK, Drinkwater OJ, VanDusen KW, et al. Prevalence of ocular surface dysfunction in patients presenting for cataract surgery evaluation. JCRS. 2018; 9:1090-1096.